« Oh What a Feeling!!! 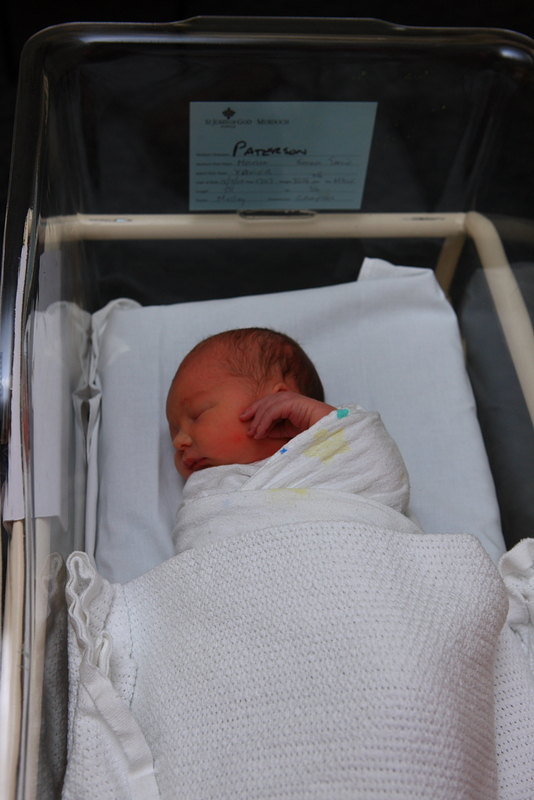 A small photo of Xavier asleep in his hospital cot. So far he has been a dream, sleeping all night and very rarely crying. Is this the calm before the storm? Fingers crossed that its not. Melissa and Xavier should be home on Saturday so I’m really looking forward to that. cute bub. Man you are in for some hard times, ask Matty Lauder. Must be the most amazing experience! Xavier looks very peaceful, looks like you guys after meeting Xavier today have a very peaceful soul. Melissa and Xavier looked so nice together today. Congrats again to both of you. Hi Jamie, Even though I’ve visited your site frequently I’ve just joined wordpress so I’m now able to comment on your site. So, first off, congratulations on the birth of your very cute son! I’ve got 3 kids myself so I understand what an exciting time this is for you. Thanks for the good wishes. I can’t believe that its such a good feeling! !1 Look forward to seeing some of your photos now that you’ve joined wordpress.